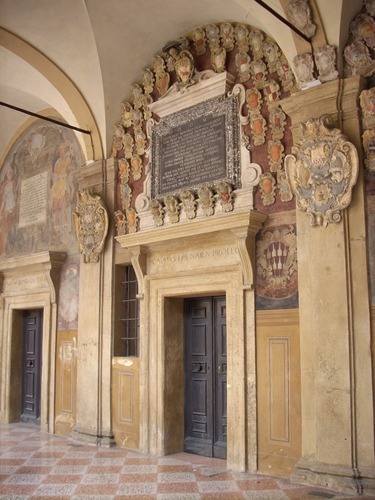 The Medical Surgical Society of Bologna (Societas Medica Chirurgica Bononiensis) is the oldest italian medical association. 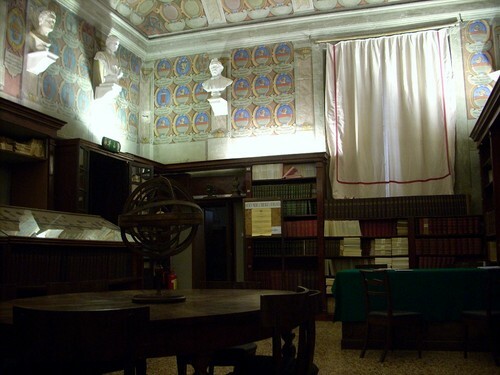 It was founded "in 1802 and obtained government approval three years later, in 1805. 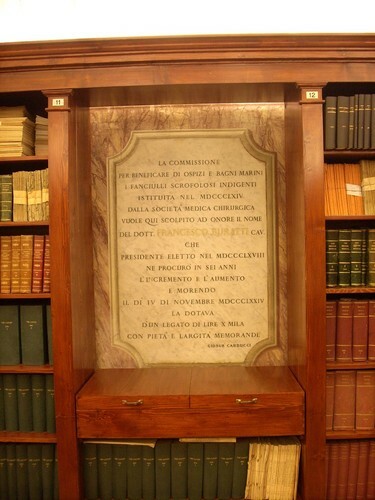 (…) The centralizing and authoritarian address of the entire cultural policy of the Napoleonic Government between 1810 and 1811 resulted in (…) the suspension of all activities"1. 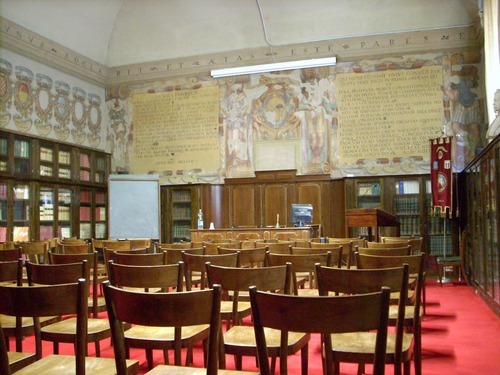 In 1823, under the restored papal government "the activity of the reconstituted Medical Surgical Society formally began, pledging that two monthly meetings would be held. 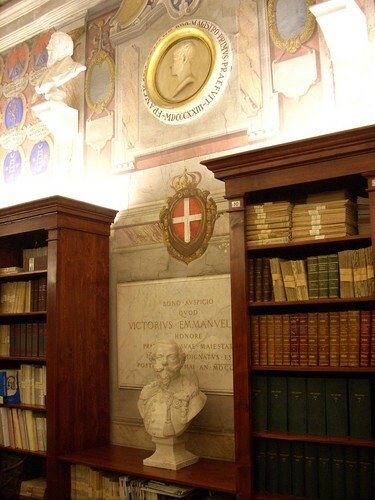 While Italian residents and correspondent members had to pay an annual membership fee, foreign members were asked to send the Society books and medical journals equal in value to the annual fee"2. 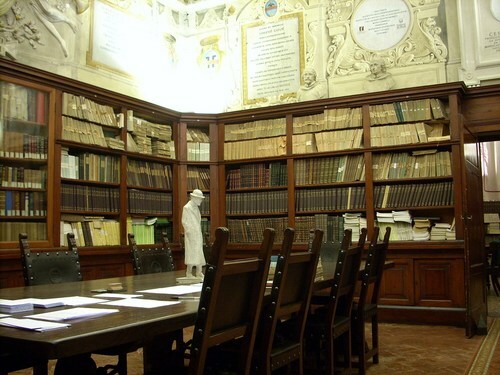 This is why the Society at present has - in its beautiful seat inside the Palazzo dell'Archiginnasio (Piazza Galvani 1) - one of the most important italian collections of 19th Century medical journals. 1. S.Arieti, Societas Medica Chirurgica Bononiensis, Clueb, Bologna 2004, pp. 52-3.